Many of us marketers have a BIG content problem. The problem is the significant rate at which we create content and the sheer volume of digital visual assets we have. Okay, so having a lot of content is something I like to call a champagne problem – or a good problem to have – but it poses some major challenges for marketers. The biggest challenge is how we manage our digital assets, particularly our visual social media content. Digital asset management is quickly becoming one of the biggest influences on the success of content marketing. Aren’t leveraging and reusing existing content. The answer lies in a digital asset management tool or system to manage visual content assets. Specifically a system to store, annotate, and catalogue social media images and videos. Unfortunately for us marketers who pride ourselves on being creatives, the idea of record-keeping, filing, and storage systems can be incredibly unappealing. As unappealing as it may be, it’s also an exciting opportunity for marketers. Exciting because effectively managing your digital assets can actually make your content marketing more effective and easier. How you store and manage your social media images and videos can make you a better content marketer. Now stay with me here… I’m going to give you some tips on how this is not only possible but amazingly simple to do. But first, let’s explore why digital visual content is one of, if not the biggest marketing asset you have. The importance of visual content in social media marketing continues to grow, with marketers realising the significant contribution it makes to reach, engagement, and sales. More than a third (37%) of marketers report visual marketing as their most important form of content, second only to blogging (38%). Visual assets are by far the most favoured types of content used by social media marketers with 74% sharing images, ahead of blogs (68%) and videos (60%). Of course we’ve all heard the saying a picture is worth a 1,000 – or even 10,000 words. From a marketing perspective visual assets have an even more pronounced effect. It turns out we are incredibly good at remembering pictures but not so good at recalling information. Hear a piece of information, and three days later you’ll remember 10% of it. However, when the information is paired with an image you’ll recall 65%. This was one of the most popular Facebook images in 2016. It’s not just images that pack a big punch in content marketing; video content is now estimated to represent 74% of all Internet traffic. This was one of the most watched videos in 2016 with more than 60 million views. More than 75% of marketers and small business owners who use video marketing report that it has had a direct impact on their business. 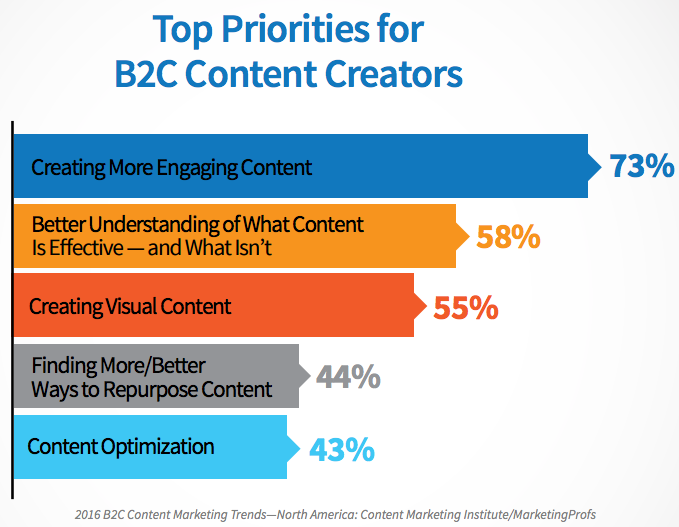 According to the Content Marketing Institute, more and more marketers are making creating visual content one of their top priorities. Therefore, it’s evident that marketers will continue to pump out high volumes of visual content, further highlighting the need for good digital and visual asset management. Gone are the days of emailing photos and videos, saving them to Dropbox or Google Drive or – dare I admit to it – saving them to a personal computer desktop. We’ve all been there: Ready to post to Facebook or Twitter, with a faint memory of having the perfect image or video to go with it. The only problem is it’s saved somewhere – somewhere you can’t remember or access right now. Whether you’re managing stock images, user generated content, custom images, video files, infographics, product images or logos, you need a system to manage it. A system like MavSocial’s digital library can be accessed from anywhere and easily navigated so you can find what you need, when you need it. Identifying key stakeholders – who needs access to the content and who is ultimately responsible for the system? Governance – what policies and procedures need to be in place for managing, maintaining, and using the system? Understand current processes – how is visual content currently created and stored? What problems are there with the current system? How is the visual content currently being used? Back-ups and security – is your system and its contents regularly backed up and secure? Once you have a good system in place, transfer all of your visual assets to it. MavSocial’s digital library allows you to upload and store any of your own images as well as automatically saves new ones from your social media posts. Additionally all of your digital assets are automatically saved inside MavSocial from the entire lifetime of any linked Facebook account. Do you know where the content has been sourced from? Was it user created or a custom image? Are there any copyright or licensing restrictions on the content and how are you tracking and managing these? When storing your visual content, you will want to include a reference or description with the file on the content source and any licensing details. If you’re using free or purchased images from MavSocial’s Stock Images, then they will automatically save to your Digital Library and are already licensed for your use. It’s important to have a file naming convention in place that all users are aware of and consistently use. This will help ensure you can easily locate visual assets when needed. One of the best ways to ensure easy retrieval of visual assets is through the use of metadata–or embedded descriptions. By using MavSocial’s digital library you can add titles, descriptions, and tags that make for easy searching and location of images and videos. Related visual content should be stored together in folders or galleries that can be easily located. Content can be grouped and saved in the same place, based on topics, products, clients campaigns or even file types. Once you have a visual asset management system in place you can easily find social media content when needed and maximise its use. MavSocial makes it easy because you can manage your digital library and schedule social media posts all from the one dashboard. So images and videos can be leveraged to their full potential via social media. 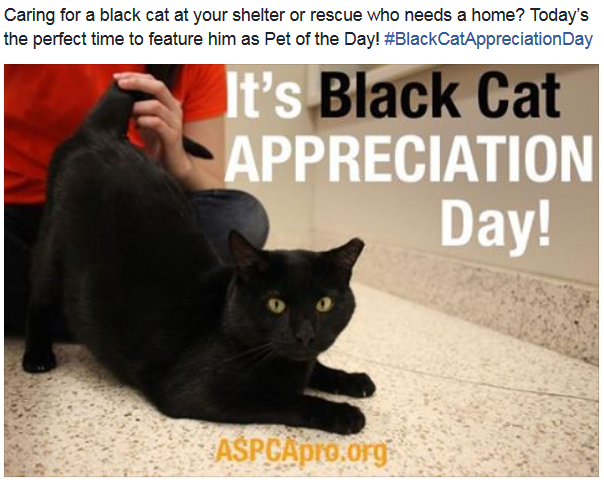 Reusing social media posts and visual content is a big time-saver and an effective marketing strategy. Visual asset management helps you easily source previously used images and videos for new posts. Even better, with MavSocial you can also see how previous posts are performing so you can focus on content that has had the most engagement. In MavSocial’s digital library you can see likes or shares on each individual image, regardless of where or how it was used, so you can easily identify top-performing visual content to re-use or re-purpose. If you are re-purposing visual content, you can edit a photo before posting to social media, and even add filters and text overlays from within MavSocial. Once you have a library of visual content available at your fingertips, you can easily recycle other types of content such as blog posts, by pairing them with a different image. This is even easier with free or purchased images from MavSocial’s Stock Images. With these tips you should be well on your way to making the most out of your visual assets and boosting your content marketing strategy. MavSocial is the leader in social media visual content management solutions. It allows marketers to easily upload, store, manage and publish videos and other rich media directly to Facebook, Twitter, LinkedIn, YouTube and Tumblr. Sign up now to see how MavSocial can help make your social media visual content marketing easier. Try MavSocial for FREE by clicking here.